visitors to Malaysia’s largest coffee festival will find bigger and better reasons to celebrate all things coffee this year. 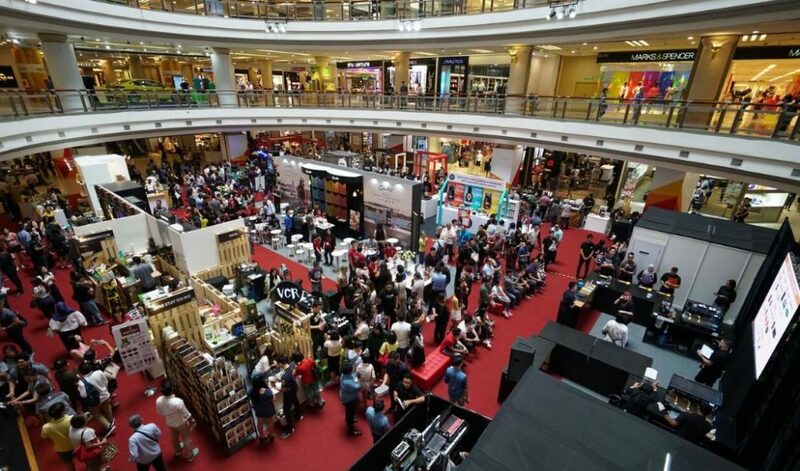 The festival which opened this morning is set to welcome more than 20,000 visitors over four days at the popular lifestyle and shopping destination 1 Utama Shopping Centre. Coffee enthusiasts will be treated to a captivating waft of percolating coffee from a massive range of 96 brands spread over 10,000 square feet of event floor space. From now to this Sunday, fans of the dark beverage can expect to soak in a packed programme and the caffeine-fuelled festivities which will see the convergence of top-class baristas, local artisan coffee bean roasters, independent specialty coffee houses, coffee bean purveyors and suppliers, and coffee equipment distributors and manufacturers – to celebrate Malaysia’s vibrant coffee culture and scene. Visitors will find that they will be spoilt for choice at the array of coffee machines and accessories, coffee beans and tea leaves, and the wide selections of heady brews and concoctions. To add a sweet spot at the festivities, the visitors will find a smorgasbord of local bakeries serving up distinctive pastries and treats which will pair up perfectly with the finest coffee and tea! Avid spectators of coffee competitions will be amazed by the nimble and dexterous skills of contestants battling for top spots in three national coffee championships held live on stage. The champion of the inaugural Roastedly®Open Drip Bag Coffee Championship (Malaysia) will win a handsome cash prize of RM15,000. 3. The inaugural Roastedly® Open Drip Bag Coffee Championship (Malaysia) 2018 on 14 July. This entry was posted in MCF 2018. Bookmark the permalink.